Gwen is the founder and editor of Allergic Living Magazine, Canada and USA. Gwen suddenly and shockingly developed allergies as an adult. She talks me through her allergy discovery through a severe reaction to shrimp. She tells me about how she continued to discover more severe allergies to peanuts, soya, …through allergic reactions and allergy testing. We chat about when we were diagnosed back in the early 1990s, there wasn’t that much information out there. We discuss the differences between allergies in children and adults. Gwen shares how her life changed with allergies. We chat about the changes she had to make when food shopping, going out to restaurants, having dinner with friends and family. She talks about her strategies for making sure a meal at a restaurant isn’t all about allergies. Gwen talks me through why she started Allergic Living Magazine and it’s aim. 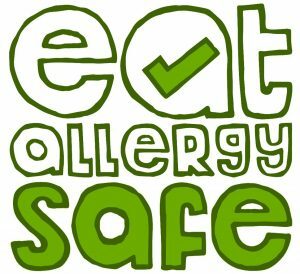 As mentioned at the end of the episode, along with writing some recipe books (“Gluten Free and Vegan Chocolate Treats” & “30 Days, 30 Dinners”) I have started teaching allergy safe baking and cooking! To find out what you like to learn about, I’ve started putting them up on Skillshare. P.S. I’d love to know what you thought. Leave me a review on Skillshare or a note in the comment section below of this post.